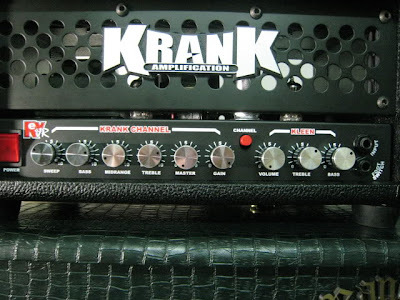 Many guitar players know about the Krank famous mini stack amps. the new version of Rev.Jr was introduced during the next year which is called Rev.Jr "PRO". The Rev.Jr "PRO" is upgraded to TWO channels - Kleen and Krank with independent EQ controls. 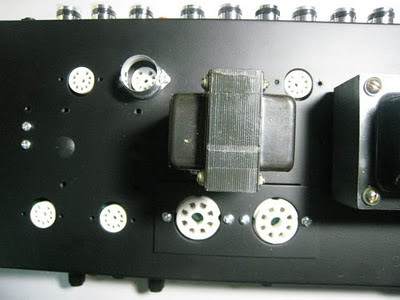 And also "Pro" version has 20watt or 50watt output options which is same as Standard version. There is no "Standby" switch on front panel for both "PRO" and Standard versions. "PRO" version doesn't come with "Line Out" but "Presence" control which is much more important. 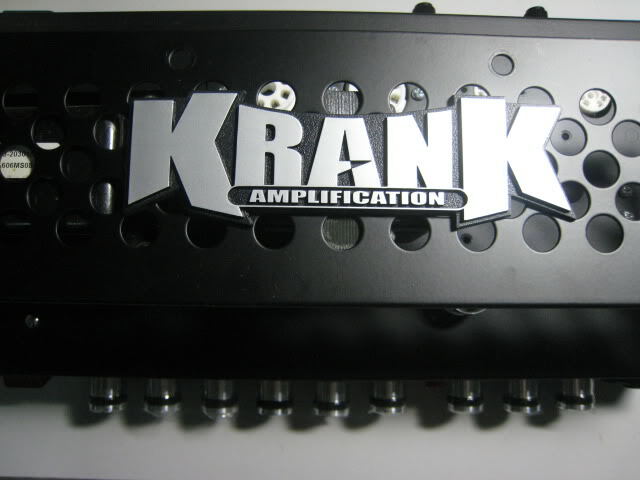 Famous Pirate Skull flag from Krank Amplification. 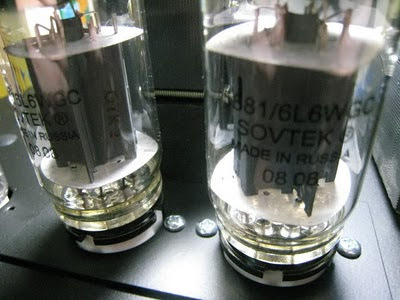 Five 12AX7 preamptubes and two 5881/6L6WGC powertubes. 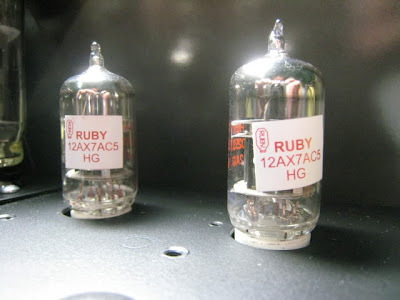 the next two 12AX7 tubes are for "Krank" channel. and the next one is Phase-Inverter which is beside the powertubes as usual. Black or Chrome front grille options. 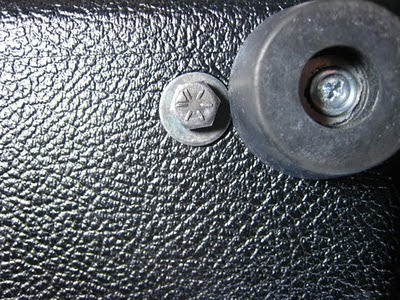 The logo was stuck by twin-adhesive tape. Assembled and QC check. Burned-in time was total 30 hours. 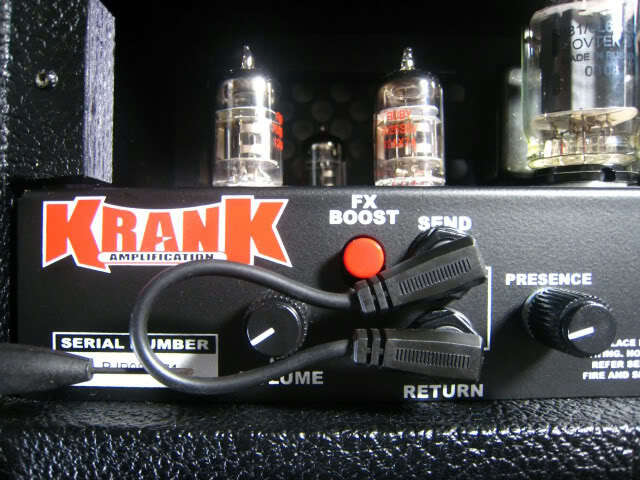 and offers the same raging high gain sounds it’s big brother delivers!" - from Krank official website. Because of those sentences mentioned above, I bought the Rev.Jr "PRO" from eBay, USA. 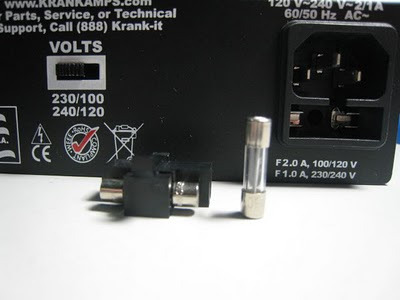 Don't be a fool by this mini amp, it can sound really loud even with 20watt version. 20watt of Rev. Jr is lounder than my 60watt Peavey 5150 combo at the same volume level. You can easily control overall volume better by connecting a patch cable into FX loop. Therefore, the FX volume pot will be served as "Master" volume. The FX boost from "PRO" version is not functioning as "Gain Boost" from Standard version. It is just a switch. 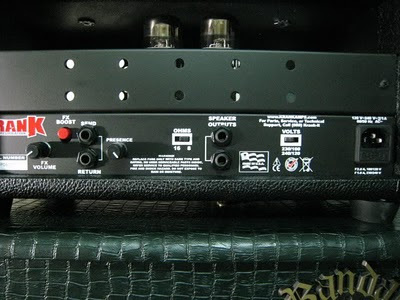 All the gain range is controlled by "gain pot" on front panel of the "PRO" version. You have to be careful about the "Presence" control. Sound will become too buzzy if you turned it more than 9:00.
the gain level of Rev.Jr is lesser than them. The video clip of my Krank Rev. 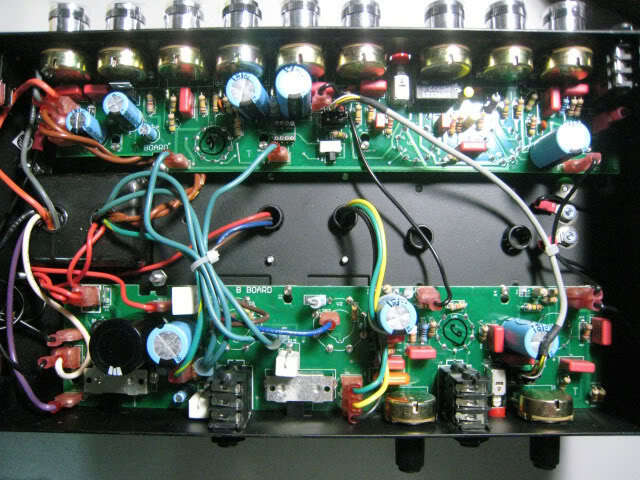 Jr "PRO"
Although Rev.Jr is cathode-biased amp, but it only accepts 6V6, 5881 or 6L6 powertubes. You aren't able to run other octal tubes such as EL34, 6550, KT88, KT77 on it. 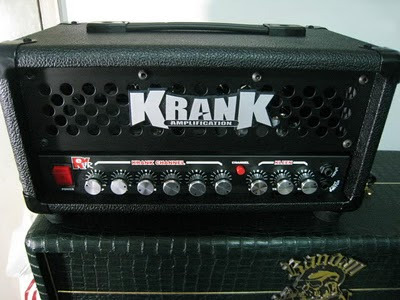 How does Rev.Jr PRO compare to the Krankenstein Jr ? Basically it’s kind of the same difference as the comparison of the full size Rev+ and Krankenstein+. With the Krankenstein Jr. having a little more gain and the eq being voiced just a bit differently. So it depends on what you’re really looking for… but both are great little amps! Rev.Jr PRO having different circuit board with Krankenstein Jr. 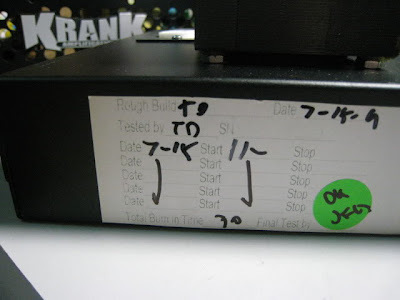 The easiest way to let Rev.Jr PRO to get a similar tone with Krankenstein Jr.
is to use a line driver in the effects loop. Something like a MXR micro amp pedal, or a Electro-Harmonix LPB, or equivalent device.